Make great barbecue baby back ribs without the barbecue. It's possible to get the same great taste making baby back ribs in the oven. What sets baby back ribs apart is their size. Out of the 14 pig ribs, baby back ribs are the smallest, only three to six inches long. 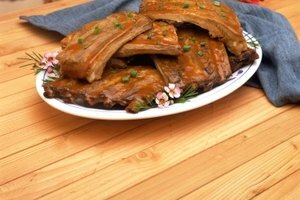 To make up for their smaller size, these ribs have more meat and less fat than spare ribs. The rib itself is curved with most of the meat on the top of the bone, making it perfect for eating. Prepare your barbecue baby back ribs the night before. Remove the white membrane on the back of the ribs. 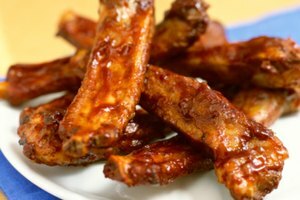 Place the ribs in a shallow dish and cover them with your homemade barbecue sauce, or your favorite packaged sauce. 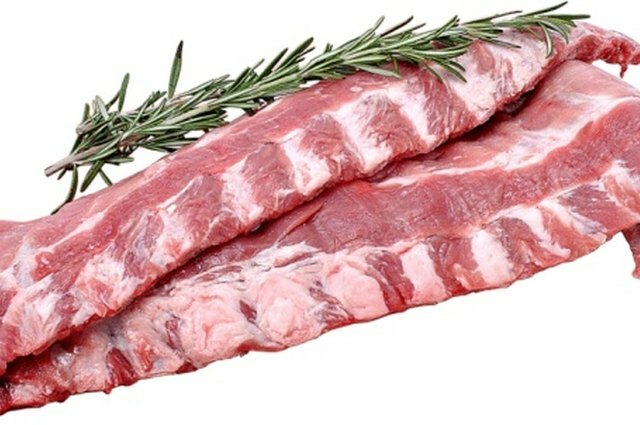 Keep the ribs in the refrigerator overnight until baking time. Take out a cookie sheet or roasting pan. Cover the sheet or pan completely with foil. Place the marinated baby back ribs on the foil and spread more barbecue sauce. Cover with another sheet of foil, or use the cover to the roasting pan. Turn the oven on to 225, place the cookie sheet in and slow cook the barbecue baby back ribs for 3 hrs 45 min to 4 hrs 30 min, basting every 30 minutes with barbecue sauce. Cooking time varies with the size of the ribs. 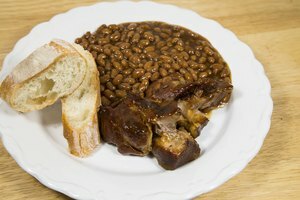 If you have a doubt if the ribs are cooked, try taking a toothpick and poke the meat. If the toothpick comes in and out easily, your baby back ribs are ready to enjoy.